You must control Rarity to play this card. At the start of your turn, put a Harmony counter on this card. 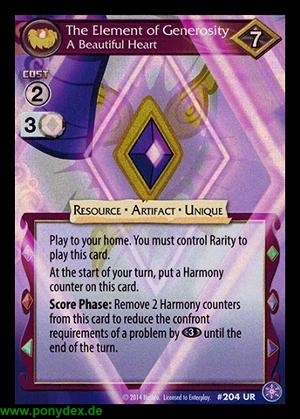 Remove 2 Harmony counters from this card to reduce the confront requirements of a problem by 3 wild power until the end of the turn.